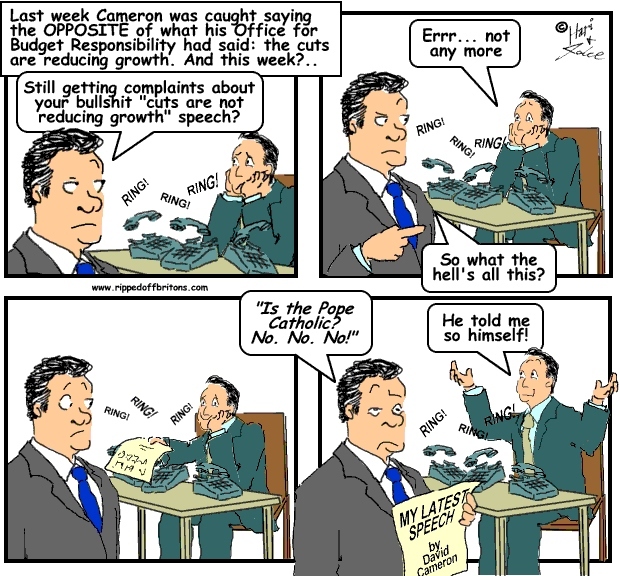 The PM insisted that the Office for Budget Responsibility (OBR) had concluded that the austerity cuts had not reduced growth. But Robert Chote, head of the OBR, responded by writing an open letter to the PM saying his report had concluded exactly the opposite: cutting public spending reduces economic growth in the short term. He added that most other economists agree with him.